← Trade Shows dying or just evolving? Having recently written a blog: Trade Shows Dying or Just Evolving, I thought for those attending these shows I might offer some advice from 25 years working them. 1. Write out your objectives. Why are you attending? Are you there to learn about the industry, to connect with existing or new suppliers, or to find a new job? If you are there primarily to visit trade partners, don't neglect educational opportunities and vice versa if you're there for the education. 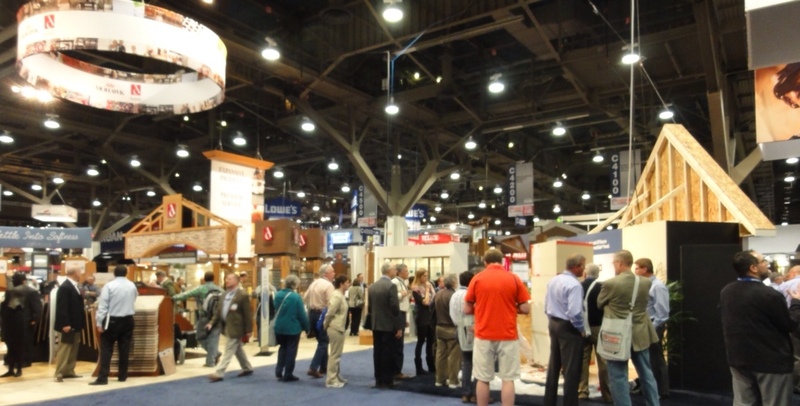 Last year, I spoke with two industry leaders after attending a trade show's educational forum. Neither had even set foot on the exhibit floor during the 2 days they were there. 2. Passes and admission. Acquire passes and event credentials early. Standing in line on opening day to get credentials is a real pain. 3. Appointments and events. Make appointments, and get event invitations in advance. Make appointments even for booth visits so you don't miss your representative because you stopped by during their break or lunch. 4. Airfares are rising. Purchase tickets early for the best deal. You can often save money by using satellite airports. Explore travel alternatives for events at resorts or remote locations. I was once instructed to fly into OshKosh, Wisconsin and take a shuttle to the destination. It was more convenient and cheaper to simply fly to Chicago and drive a rental car to the location. I saw the countryside and I had my own transportation to get around while attending the event. 5. Hotels and Getting Around. Some shows have discounted hotel rooms blocked off (verify the savings). Also, if there is a hotel within walking distance of the show, it may be worth a premium to avoid cabs to the venue. 6. Clothing to pack. Wear appropriate business attire. Save polo shirts and dockers for the trip home. By all means you should wear comfortable shoes when you're on the exhibit floor. 7. Make your presence known. If you're there to make new contacts, don't just visit with folks you already know. Take plenty of business cards and use them. Whenever you meet someone new, make a note on follow-up plans. 8. Use your electronic tools. In general, I don't text or twitter much. But trade shows are ideal opportunities to use these tools. Trade shows often have twitter hashtags # that can keep you informed as to what is taking place, and when. Use your smart phone to text your contacts, confirm appointments, etc. 9. Be Flexible. Keep open time in your schedule between appointments. If you get stuck with a vendor, waiting in line for a cab, etc. you won't be embarassed by being late. 10. Follow-up. This may be the most important tip of all. The vast majority of leads generated at a trade show recieve no personal follow-up. Don't wait. Be proactive and follow-up yourself. 11. Personal Notes. This is a real favorite. I send personal notes when I meet someone for the first time – handwritten and mailed with a real stamp. It's unusual, and not expected in these days of email and instant communication, but that's one reason to do it. People will remember you because of it. As a bonus, here's a 12th tip. ENJOY. One reason I've loved the PCBC over the years is that it was always in San Francisco and it always ended on Friday. I was already there on business, so whenever possible, my wife would fly up on Friday for a few days together in SF or the surrounding area. Trade shows are hard work. Have some fun, too. This entry was posted in Business, Trade Shows and tagged Architectural Digest, IBS, KBIS, PCBC. Bookmark the permalink.